Welcome to November. The leaves are all but gone (unless you live in Florida) and the pumpkin spice lattes are in full swing at Starbucks. If your life as an avid animal rescuer is like ours, (7 days a week, all hours of the day and night, never ending, never quitting, never over, never giving up) then you’ll be happy to know there’s a holiday designed specifically for you. 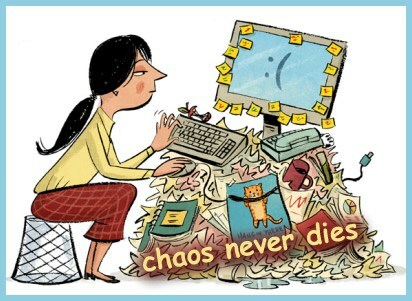 Today is National Chaos Never Dies Day. There are many holidays throughout the year that focus on taking time out of your life for certain things like focusing on yourself or your well-being. There are many holidays like Thanksgiving that celebrate relaxing and taking time with family and reflecting on the past year. 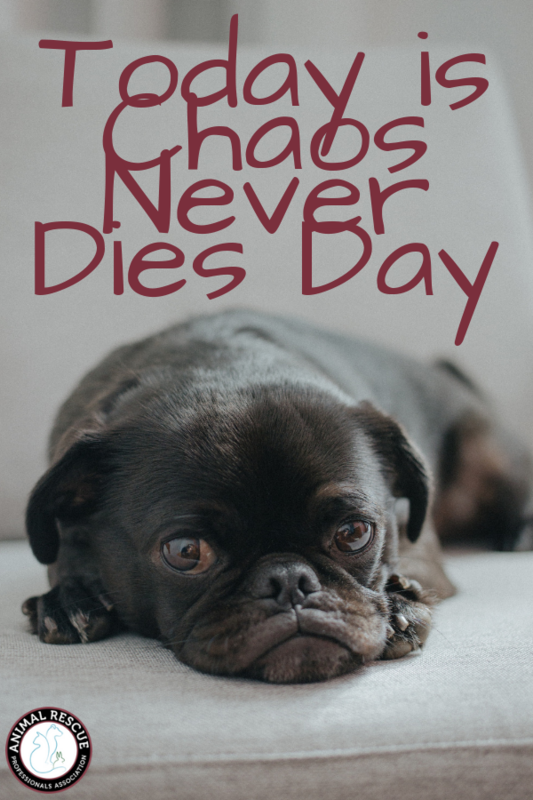 The idea behind Chaos Never Dies Day is that those quiet moments or days of peaceful bliss will never exist – not in our lifetime anyway. So just give up on waiting for that day and instead embrace the chaos and live in the moment. For animal rescuers in the U.S. and around the world, we know that just because there is a holiday on the calendar that celebrates peace, love, compassion and bliss that this does not magically help stem the flow of animal abuse and suffering of sentient beings around the world. We know that Thanksgiving, Christmas, Hanukkah, Easter, and July 4th come every year and that animals will need our help 24 hours a day, 365 days a year. So we say stop fighting it. Stop trying to change who you are. Embrace the chaos and live in the here and now. Animals need your help. Save them. We’re here to support you. ← In addition to October black cat month, today is black cat day!